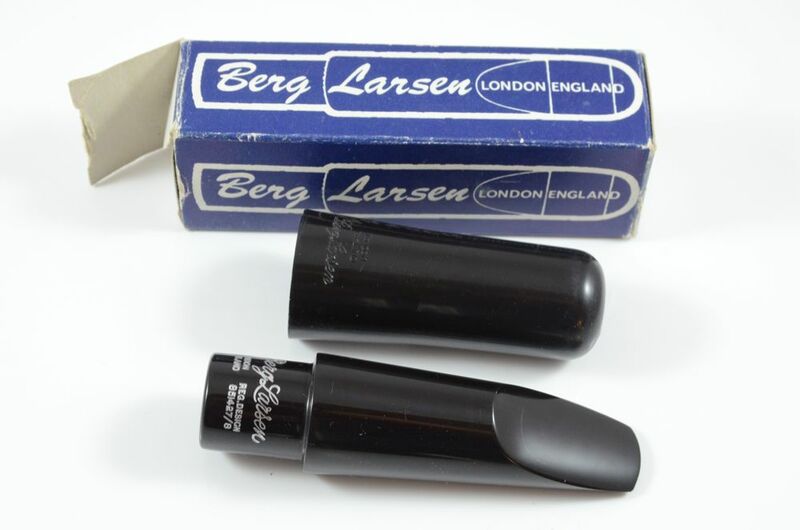 Berg Larsen “Offset M” alto saxophone mouthpiece, 90/1/M in good condition with original ligature. Facing, which appears to have been lightly touched up at some point in the past, measure .089. Rare vintage early Berg slant hard rubber marked 80R 2 SMS, opened by Brian Powell to .100 or 7.